2018 has been a very busy year with so many positive outcomes for the AbCF. Thank you to each and every person that we have worked with over the past 12 months, your support and professionalism has been greatly appreciated and we look forward to working with you all in 2019. From all of us at the Aboriginal Carbon Foundation we would like to wish you all a very Merry Christmas and a safe and Happy New Year. 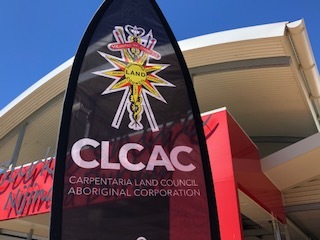 Having just attended the Aboriginal Ranger Forum, hosted by Carpentaria Land Council (CLC) in Burketown, I am pleased to be able to report that it is plainly evident that Aboriginal Rangers value community collaboration and partnerships very highly. The Burketown Forum gave approximately three hundred Rangers from a wide and diverse area to come together and share experiences, stories and training. Alongside this it gave Rangers the opportunity to see old friends and family members, which is often difficult due to the long distances and lack of funding. Any opportunity for Rangers to work together and share knowledge should, therefore, be seen as not only beneficial to country, but also improving social outcomes and community well-being. The relationship with National Australia Bank (NAB) is going from strength to strength, and alongside a recent large ACCU purchase, they have committed to purchasing ACCU’s from the Kowanyama Savannah Burning Project for the next three years. 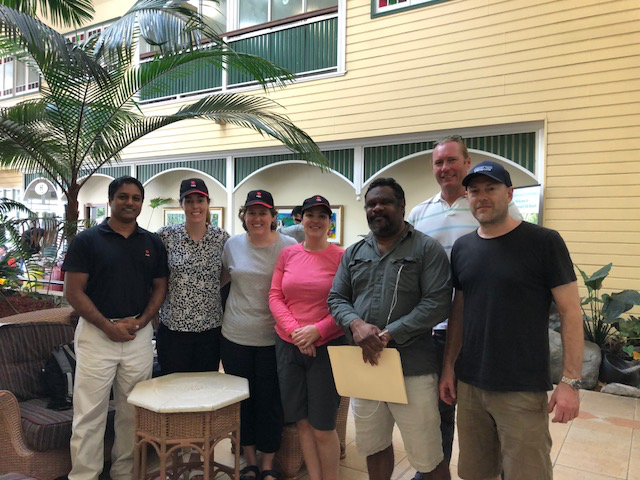 Mark Gasson RCBC Fund Manager and Barry Hunter, AbCF Regional Manager, took five NAB guests to visit one of the sites generating the ACCU, Oriners, where we were greeted by the Mayor of Kowanyama and a host of rangers. We were all given a traditional Welcome by the Mayor, followed by a tour of the site and overview of the project. We then went and explored some of the far reaches of the project with the rangers, including Horseshoe Lake. We returned to Hann River Roadhouse for the night before heading back to Oriners and then on the Kowanyama, where after issues with the ute along the way and a tow into town from the rangers, we arrived to be given an overview of the carbon projects and an insight into how this is impacting positively on the community, creating both an income to the Council as well as employment for rangers. 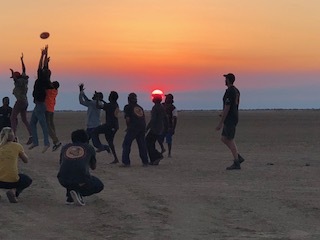 It was a fantastic trip, a great opportunity to consolidate relationships both with the Kowanyama community and our NAB partners and crucially to bring the two parties together. As the contract with NAB is now on-going, this is a trip that we’d all like to repeat next year with different NAB employees. Since returning from the trip, the AbCF has been approached by NAB and asked if we are willing to be featured as one of NAB’s twelve Corporate Responsibility Partners in a new advertising campaign that NAB are launching. This is an excellent way to profile our work and increase public awareness and a good indicator that we are a trusted and valued organisation. The Palaszczuk Government will offset the emissions from its fleet of vehicles with carbon credits from Aboriginal carbon farming projects, reducing the state’s contribution to climate change and increasing opportunities for Traditional Owners. The Government, through the $8.4 million CarbonPlus Fund, will pay a premium price for high-quality carbon credits generated by savanna burning and other Aboriginal-run projects in Queensland to offset its vehicle emissions from the 2017-2018 financial year. Minister for Environment Leeanne Enoch said the initiative would see Traditional Owners receiving a financial return for caring for Country. “By offsetting our vehicle emissions with Aboriginal carbon credits, we are not only helping to grow the state’s carbon farming industry but also providing social and cultural co-benefits to Queensland communities,” Minister Enoch said. The Queensland Government has contracted two service providers – Corporate Carbon Advisory Pty Ltd and the Aboriginal Carbon Fund to deliver 115,000 Australian Carbon Credit Units. CEO of the Aboriginal Carbon Fund Rowan Foley said the initiative would create new opportunities for ranger groups and Traditional Owners in Queensland. 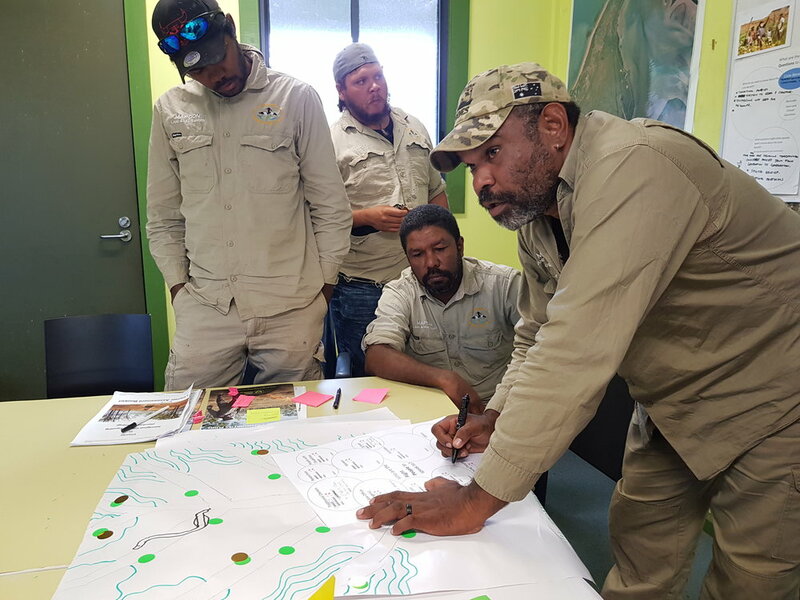 “The carbon economies emerging on Aboriginal lands will enable sustainable income for local rangers and Traditional Owners, ensuring that the environment is well managed and helping the government to offset its carbon footprint,” Mr Foley said. Potentially worth up of $8 billion to Queensland by 2030, carbon farming involves the management of vegetation, land, animals, soil and fire, to store carbon and avoid the release of greenhouse gas emissions. “Embracing the solutions to climate change can be a positive thing for Queensland and we need to start carving our place in the emerging zero carbon global economy,” Minister Enoch said. 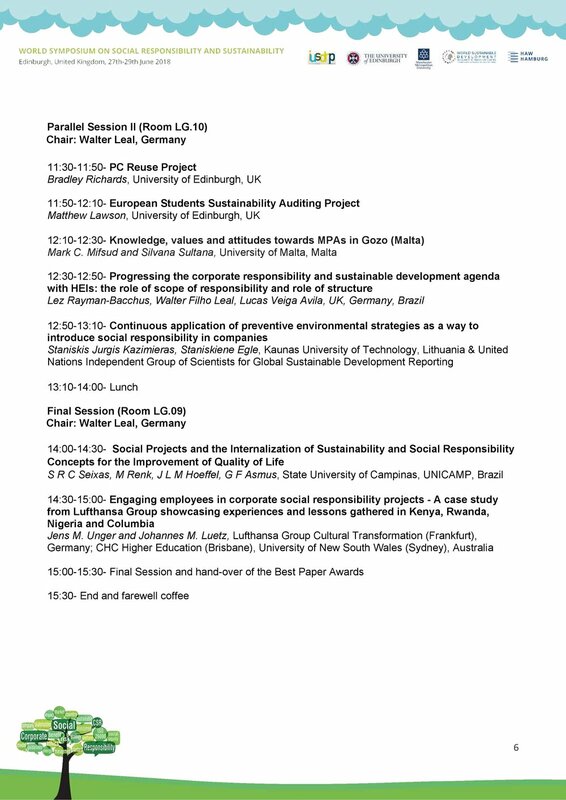 The World Symposium on Social Responsibility and Sustainability was hosted by Edinburgh University, and all papers will be published. I gave a paper on the Core Benefits Standard for environmental, social and cultural values. It was well received however, it is self-evident Indigenous people and lands are not a priority in Europe. To pretend otherwise is foolhardy. To think any international standard devised by the former colonisers has our best interests at heart is as realistic as Harry Potter. In going to Scotland, and also visiting Ireland and Wales, I was very impressed by their formal bilingual programs. It gave the feeling that their experience of colonisation was not entirely positive and they valued All signage is in their native tongue as well as English. European priorities are their own economies, immigration from former colonies and matters much closer to home. Post colonial attempts to engage with colonised people is simply that, the reality is they have nothing better to offer than we can’t do for ourselves. The Scots, Welsh and Gaelic assert their own language, culture and socio-economic priorities through formal and informal channels. All people who have a love of freedom and their own customs view the colonisers legislation, policies and standards with increasing scepticism. When you analyse what’s actually being offered it soon becomes apparent the empire has no clothes. The old slave trading nations have always acted with a natural self interest. Trump and Brexit are simply public examples of this in the modern era. It’s best to forge a new path ahead with the Core Benefits Standard, mindful there are many supportive people of good will.